Existing institutionally based systems for educating and training teachers in Sub-Saharan Africa have not kept up with present demand, nor can they hope to meet future needs. The reasons are simple: insufficient numbers of trained teachers and inadequate educational resources. Meeting these needs is not an option; education is the cornerstone for social and economic sustainability. Failure to educate more of a nation’s population does not maintain the status quo. In today’s world of technology, “uneducated” is synonymous with lower economic and social opportunities. The educational needs cannot be met in Sub-Saharan Africa by building more physical classrooms and dormitories, a reality that is facing emerging and developed countries alike. This chapter discusses the use of Open Educational Resources (OER) and how they can be a partial solution to the needs of developing countries. 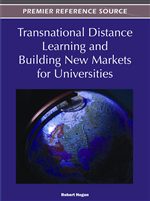 Distance learning has swept across the world because it is convenient and it makes learning available that would otherwise not be accessible in traditional classrooms. The need to train untrained teachers and to offer continued professional development dominates the teacher education scene. New communication technologies are offering possibilities that transcend existing institutional and national frameworks. If the twentieth century planners of teacher education had the capabilities that exist today, it is inconceivable they would have designed the present systems. Instead of blackboards, desks, and stacks of paper, the classes would have been taught using Web, cell phone, social media, iPhones, and Facebook. Similar concerns have been expressed in other parts of the world. In parts of the South Pacific, nearly 50 percent of the secondary teachers in some countries have no more than a high-school diploma. In other countries, only a small number of students eligible to be admitted can be accommodated due to lack of facilities and faculty. Linked to the concern with education and training are systemic problems around the teaching profession. Shortages of teachers are endemic, particularly in the subject areas of science and mathematics. Attracting teachers to work in challenging contexts, such as poverty, rurality, low pay, and poor social environments is problematic. Always a low-paid profession, now the status of teachers is changing in a similar way. The status of teachers in many countries to be in decline and community confidence in teachers is seen, in some research, to be waning (Nelson Mandela Foundation, 2005). Chapter 6 in this text discusses current problems teachers face in today’s classroom, either traditional or online. Although these issues can be identified across the globe, several factors are significantly magnified in low-income countries. Millions of teachers are under qualified or unqualified. Some education systems depend heavily on volunteer or contract teachers. The recruitment and education and training of teachers lags way behind school systems expanding to meet Education for All Targets and Millennium Development Goals. The problem can be succinctly posed. Large numbers of teachers are being recruited to keep up with expanding enrolments. But recruitment must grow significantly if the momentum towards universal basic education is to be maintained. Teaching is not a first-choice occupation so that many of those recruited have minimal or no qualifications. The teacher training institutions do not have the capacity to train, through traditional means, all the teachers required, including the unqualified teachers who are already teaching in schools. An acute problem is the shortage of suitable experienced and qualified teacher educators translates into the reality that even where training is provided, the quality can be poor. This applies to pre-service, in-service, and continuing professional-development programs.